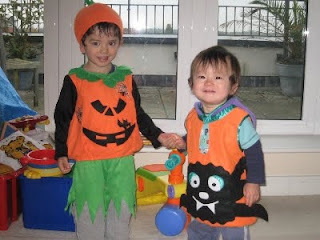 We had Halloween party at Maki's. Takara was in a cute pumpkin costume but I forgot to take a photo. 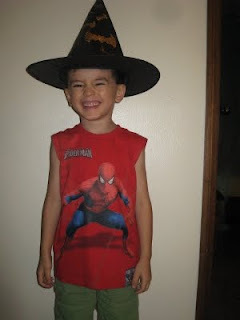 He insisted he will never put it on again but I bribed him with sweets! 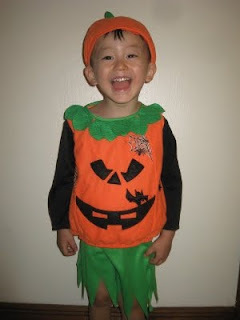 The photo below was taken 2 years ago, when Arata was 2 years and 10 months. Next year, nobody will be able to fit in.